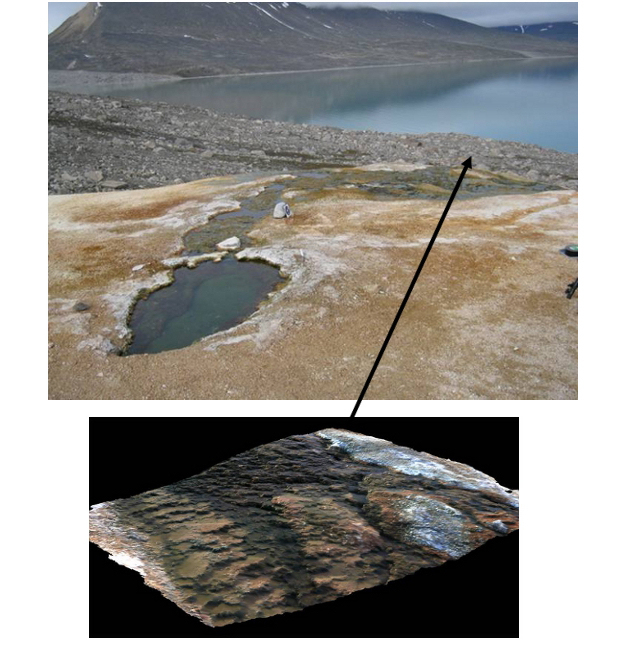 Depicts: An image taken by the PanCam prototype (top) used as input to create realistic 3D model of the terrain (bottom). A series of tests for PanCam have been carried out in simulated Martian conditions (AMASE expeditions) using a prototype of the instrument. The images taken in the field in August 2009 were used as inputs to create realistic 3D models of the terrain. 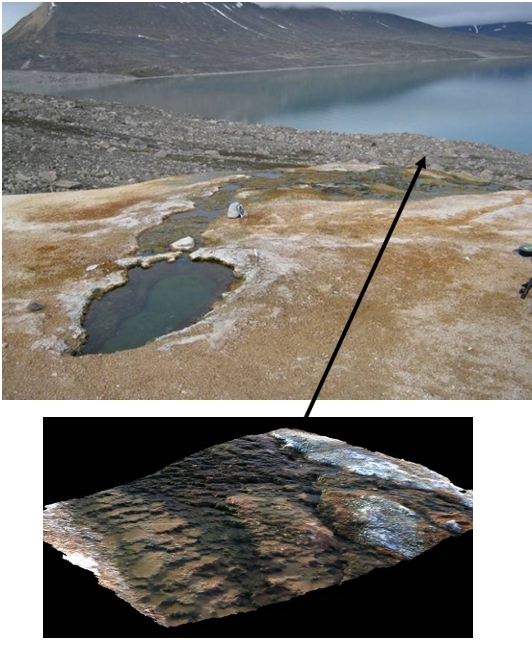 An image taken by the PanCam prototype in Jotun Springs, Norway (top) used for the creation of a detailed 3D model (bottom).